Vicky Forrester. Contemporary and bespoke jewellery. Original hand made jewellery experiences. Designed and made by hand. These contemporary jewellery forms exist unique pieces as one a part of my exclusive one off bespoke jewellery collections. Made at Flux Studios in London. 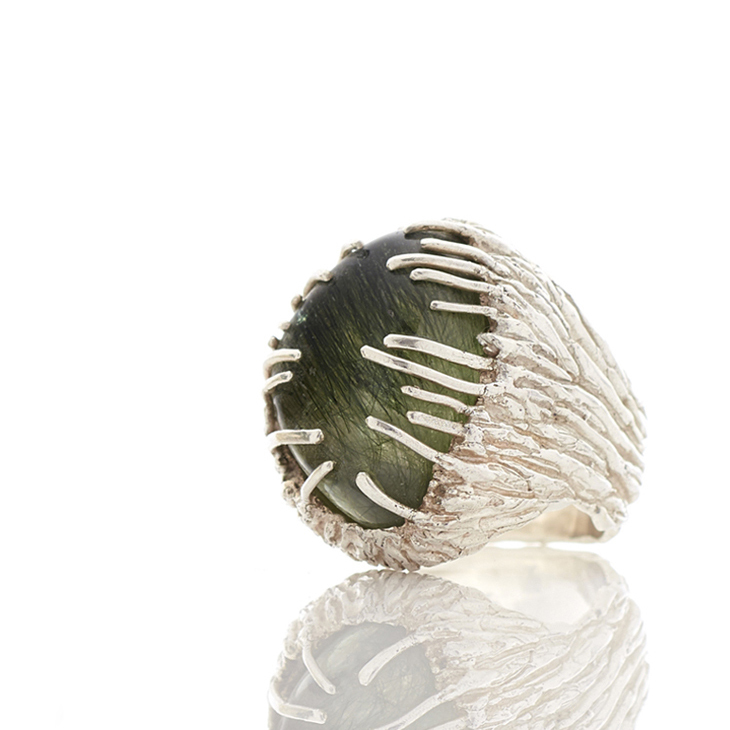 Grass-like needles of tourmaline shoot through this quarz stone to create an absorbing reedy pool, the centre-piece to htis ring. The stone is held in place with strands of silver that reflect the green tourmaline needles.